T-shirt of Canvas Shoes illustration.The shoelace of the left shoe is illustration, but the one on the right is... real lace! You can wear the t-shirt with the shoelace either tied or untied. 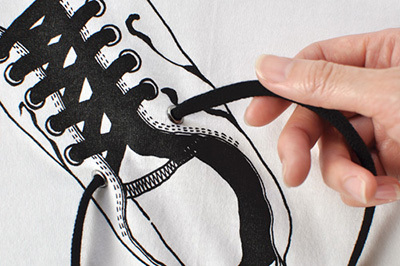 Or you also have a choice to replace with any shoelace of your favorite. You can, of course, wear the shirt with the lace tied. 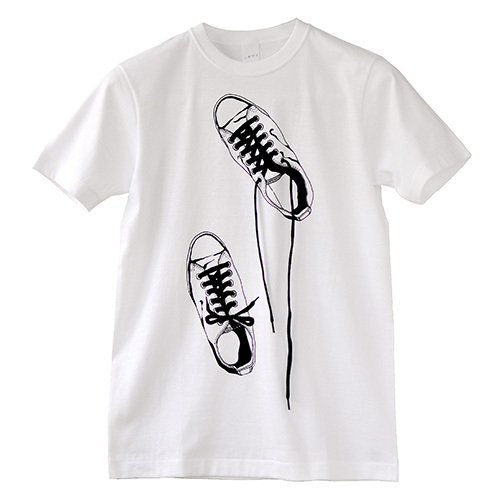 Though the T-shirt itself is new, the illusrated canvas shoes are nicely worn, not too shiny and not too worn out. And, what's more, that best state continues forever! 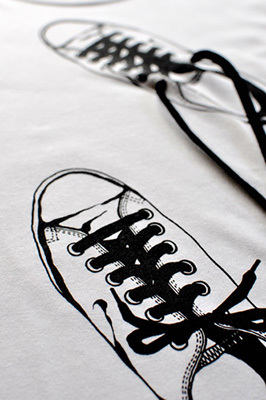 You can pull off the lace easily through these eyelets. nicely worn, not too shiny and not too worn out.